I have inherited a shotgun, what should I do? I don’t want to use it myself and I have no shotgun licence. What should I do? Executors and other people who only need to keep guns for short periods of time – for example whilst arranging a sale – can get a Section 7 permit from the police. This allows you to hold the gun for the validity of the permit. You can then sell it to a gunsmith or by auction or by private sale. 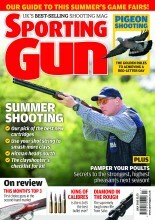 How to get your shotgun licence!